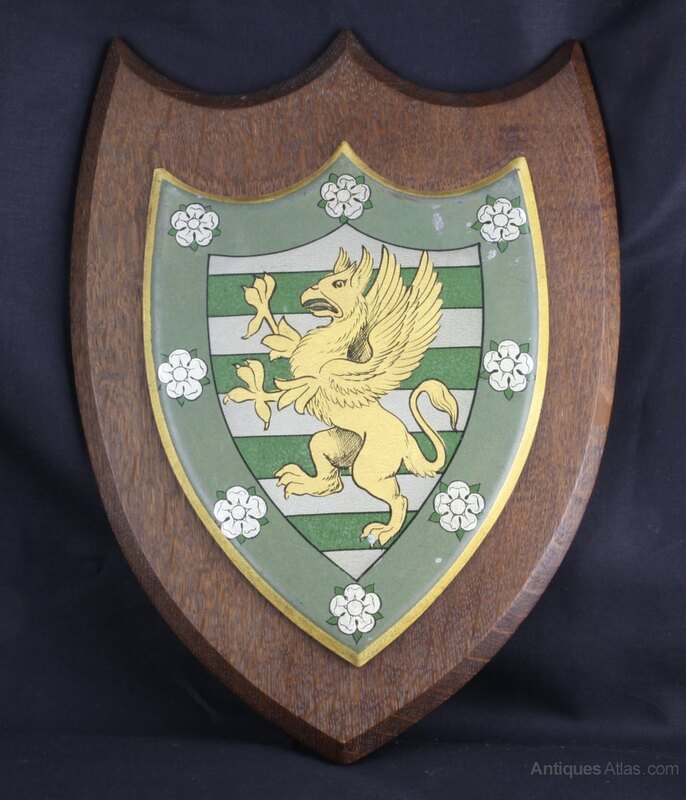 A good large Cambridge University Downing College armorial crest, the polychrome metal crest set on an oak shield. Dating to circa 1890-1910 the crest has bright and vibrant colours, albeit with some small knocks and scrapes, as shown on the photographs. These could easily be touched in. 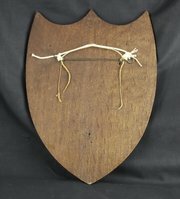 The shield measures 32cm high by 23cm wide. The asking price includes insured postage in UK. For overseas postage please contact me for a quote to your destination.